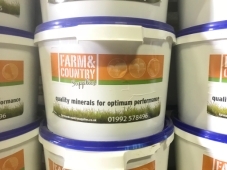 Energy Bucket For Cattle & Sheep. High in energy from sugars and oils, fortified with protein and vitamins. Ideal for maintaining body condition in Autumn and Winter or pre-tupping. Also available in 100kg buckets.